Beautiful 4 bedroom / 4.5 bath near Burkes Beach by Shelter Cove with Private pool! You can't get any better than this brand new 3,200 sq. 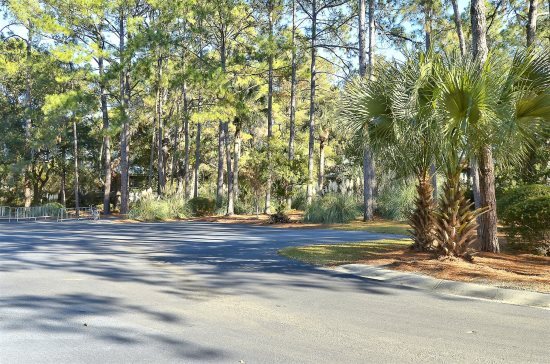 ft 4 bedroom home just a 5 minute walk from the Singleton beach on Hilton Head Island! 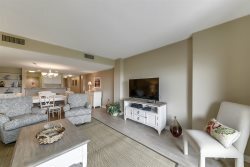 2 Barrier Beach Cove is the perfect Hilton Head Island beach home decorated in soft blues, greens and neutral colors with a sophisticated beach theme. The open floor plan kitchen is a chef's paradise with plenty of cooking space, granite counter tops, and state of the art appliances including a gas stove. The huge kitchen island is perfect for parties and comfortably seats 4. The dining room seats 8. The living room has a fireplace and 55 inch flat screen television. 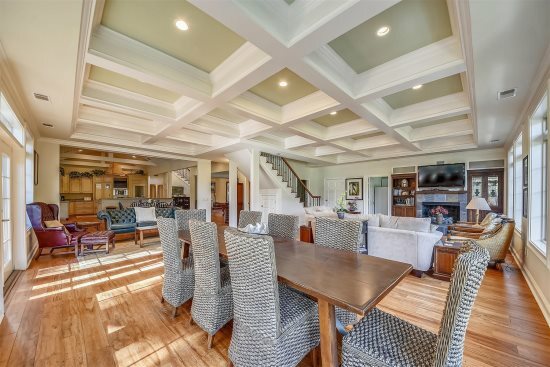 Both the dining room and living room open onto a spacious patio that runs the length of the home. The home boasts nearly 1200 sq. ft. of ground floor outdoor living spaces including a covered lanai next to the pool area and a half bath for your convenience. Enjoy a cold drink, watch the game on one of two outdoor televisions, or just sit back and watch the family splash around in your own private pool. This lanai area is absolutely perfect for outdoor entertaining. A BBQ is a must! Also on the main level is the master suite. The suite offers a king bed, 42 flat screen TV, and calming warm colors. Just off the kitchen is a full bath with shower. Throughout the home are nearly 400 sq. ft. of covered porches and a sound system that allows music to be played both indoors and outdoors through an IPod or IPhone. There are three bedrooms and a family room on the second level. One bedroom is appointed with a king bed, 42 inch flat screen TV, and private bathroom. The second bedroom has 2 queen beds and a 42 inch flat screen TV. The kids will love the 4th bedroom which has double built in bunk beds with an additional twin bed - yes, that's 5 twin beds! Keep everyone occupied in the upstairs family room which offers plenty of seating, a 42 inch flat screen television, and a queen sofa sleeper. All bedrooms and family room are the warm beach colors that are located throughout the home. The pool can be heated for an additional fee. The Chaplin Park, located nearby, offers free tennis and basketball courts. The Mid-Island area of Hilton Head, located between Palmetto Dunes Resort and Port Royal Plantation, offers proximity to uncrowded Atlantic Ocean beaches, restaurants, shopping, and family entertainment. We appreciated all the help. Great location,very comfortable and inviting .We could not have picked a more perfect home for are stay ! The Sunset Rental team was fantastic! The whole process of renting a vacation home was made easy by Sunset Rental agency. The home was beautiful! Location was perfect... TV's everywhere, two outside which made a great place for the kids to unwind. The kitchen was a dream. The only minor issue was that there was no bathroom by the pool, I know that I am nit picking. All in all it was a fantastic home which helped make our family vacation a blast. Everyone was wonderful! Every person I spoke with via phone and had interaction with via email was kind, thorough, and prompt. We were informed of everything we needed prior to our stay, were contacted the day of our arrival informing us of the pool motor that was scheduled to be fixed first thing Sunday morning, and I received a call back quickly with one other request I had left a message for. We are so grateful to have found this property and will hopefully be back again next year! Great communication from the team at Sunset. Answered any questions I had and even called our second day there to make sure we had arrived safely and that everything had met our expectations. Wonderful visit! Close to beach and a park. Home is beautiful and accommodating. The house was everything and more than our expectations.The lower level bar/covered area was great for relaxation and rainy days. Working with sunset rentals was a wonderful experience they were very quick with email responses and answered all my questions. Once we arrived they called at least twice to check on things. This was our first visit to Hilton Head, and it won't be the last. We stayed at 2 Barrier Beach Cove and loved everything about it. Having the park and the beach so close it awesome when you have little ones. The only recommendation I would have is, I wish there was a bathroom in the pool area, so you wouldn't have to walk thru the house to use the bathroom from the pool, but besides that it was amazing!! Everything about my experience with sunset rentals was amazing! House was gorgeous and location was PERFECT! Easy to work with. Good communication and response to questions. The property was as advertised. We thoroughly enjoyed the home and the Singleton Beach area. We had an amazing trip, and the house played a big roll in that. We loved the pool and outdoor area! 3 blocks from the beach... can't complain about that. The team was swift in returning our emails and calls. Including, confirming that we had received all of our check-in information. We spent a truly magnificent beach week and our group took advantage of every nook and cranny of this fully loaded home.